This colourful and lively multi stripe disc can be worn as a reflection of anyone's vibrant personality. 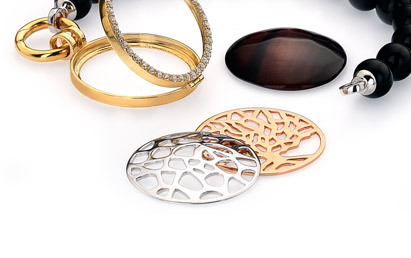 This curved front crystal disc is fun spirited and can uplift any casual outfit. The reverse of this 32mm disc is flat and polished 925 sterling silver and fits perfectly in the large size lockets.